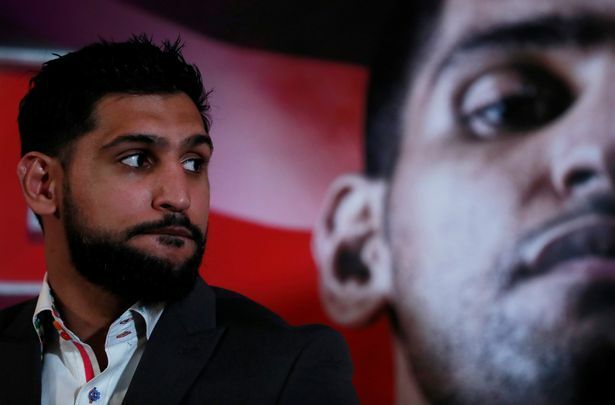 Amir Khan shakes his head at the critics who believe that he’s got no chance this coming April 20, when he steps in the ring against Terence Crawford at Madison Square Garden in New York City. Amir, who trains at full speed in Oakland, California, believes he has the conditions that are needed to achieve a huge upset. In short, the Olympic silver medalist considers that he is the most complete fighter that Crawford has faced, and that at welterweight, where he has never lost, is where he can best show his skills. “It’s going to be a tough fight, but I think I can win the fight, a lot of people tell me that I do not have a chance, but I’m fighting for my legacy. “I have to be very smart, I’m bigger, I’ll be the fastest and also I have everything to win, I’m at the peak of my career,” said Amir to ESPN Deportes. “Crawdord, as a fighter, has everything, but I’ll be ready, if he wants to go to the front, if he wants to box, I’ll be ready. “I think I’m the best fighter he’s faced. I’m going to expose him, he’s never faced someone as fast as me. For those who discredit him, Amir wants to remind them that at welterweight he has never lost. “This fight is at my ideal weight, I lost 140 pounds, it was hard for me to make weight, then at middleweight with Canelo was a lot for me, but at 147 I have given great fights, I have the power, the power, the class, the speed, I have everything,” Khan said. In his most recent fight last fall, Khan beat Samuel Vargas by way of the points after knocking him down twice, but not before having also visited the canvas himself. In fact, he accepted that this fight was far from his best version, but maybe that helped him get this fight with Crawford, the current welterweight champion of the World Boxing Organization.